Old age memory loss is normal occasional forgetfulness while alzheimer’s is forgetfulness and thinking issues that worsen over time. What is Old Age Memory Loss? Old age memory loss is a normal loss of memory as a person ages. The loss is usually mild and is in the form of occasional forgetfulness. Occasional loss of memory in which a person forgets where they put an item is normal and may become more common as we age. This, however, only happens every so often. A person might also sometimes forget which day of the week it is, but they remember later on. It is also common to sometimes make a bad decision when you are older. This also does not happen all the time though. 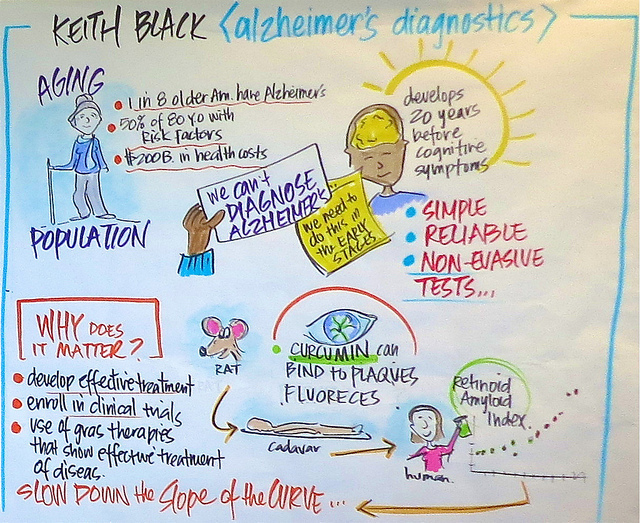 A physical exam and testing cognition to eliminate dementia or alzheimer’s disease can be done. These tests along with taking the person’s age into account can lead the doctor to determine that the memory loss is normal and due to old age. Some cognitive decline is a normal part of aging and can be caused by vascular problems in the brain, such as having a stroke. The other reason it is common in older adults is that people may be on many medications that impair their memory and cognition. In addition, the brain does shrink to some extent with age and the regions of the brain that are affected include the hippocampus, temporal and frontal lobes and the thickness of the cortex is reduced. This can all lead to less ability when it comes to thinking and memory. A person who is elderly and on several medications is at increased risk of memory problems. Having vascular problems such as having had a stroke is also a risk factor for memory issues. To some extent, some loss of memory and thinking is a normal part of aging as the brain changes. Complications of normal age-related memory loss include the person feeling depressed or anxious. It is hard to prevent normal loss of memory with aging. Living a healthy lifestyle may be helpful, and engaging in mental activities may also help. Keeping healthy especially in terms of reducing cholesterol and blood pressure may prevent strokes and other conditions that can have a bad impact on the brain. Memory loss due to aging is not generally medically treated but support from family and friends can be helpful. Alzheimer’s disease is a condition in which there is an increasing deterioration of thinking and memory over time. It is characterized by the presence of neurofibrillary tangles in the brain tissue along with beta-amyloid protein plaques. The first sign that someone may have alzheimer’s is the loss of short-term memory. People may repeat what they say and often will forget when appointments are or lose items. They also start to make poor decisions and show a lack of judgment. They soon are unable to reason and think and will find it hard to speak and write. They often will not recognize family and friends. Diagnosis includes a physical exam and eliminating other possible causes of memory loss such as for instance, a brain tumor. A person with alzheimer’s has a lack in more than two cognitive areas and the symptoms come on gradually. The person is also usually over 40, and most often older than 65. Doctors can use PET imaging with radioactive substances, to search for beta amyloid plaques in the brain which will indicate that the dementia is alzheimer’s. An MRI can show that lobes of the brain have shrunk in size, and the presence of tau proteins in CSF fluid is another indicator of alzheimer’s. The exact cause of alzheimer’s disease is not known for certain. However, there are some gene mutations on certain chromosomes that appear to be linked to early onset of alzheimer’s which occurs before the age of 65. It is also thought that genes that involve apolipoprotein and various alterations in the genes affecting amyloid precursors may also play a role in causing the illness. Alzheimer’s is more likely to develop as a person ages. Studies have also shown that people having a high blood pressure of more than 160 mmHg is a risk factor for alzheimer’s as is having high levels of cholesterol of greater than 6.5mml/l. Genetics are an important risk factor. For instance, it was found that people having a specific APOE4 allele had a three times greater risk of developing alzheimer’s. The alzheimer’s inevitably leads to death after 7 to 8 years; as the brain deteriorates a person is unable to function and often ends up with an infection that kills them. The disease is difficult to prevent but research suggests that a person can try to reduce their chances of developing alzheimer’s by keeping cholesterol and blood pressure at low levels. Regular exercise and doing mental activities may also help. Taking in Omega 3 fatty acids may be helpful and reducing the intake of saturated fat is also possibly helpful. Treatment of the disease involves using medications such as cholinesterase inhibitors, donepezil, and memantine. These medications help control symptoms but the illness cannot be cured. Difference between Old Age Memory Loss and Alzheimer’s? Old age memory loss is occasional forgetfulness whereas alzheimer’s is a severe loss of memory and thinking which becomes worse with time. Occasional forgetfulness is typical of old age memory loss. 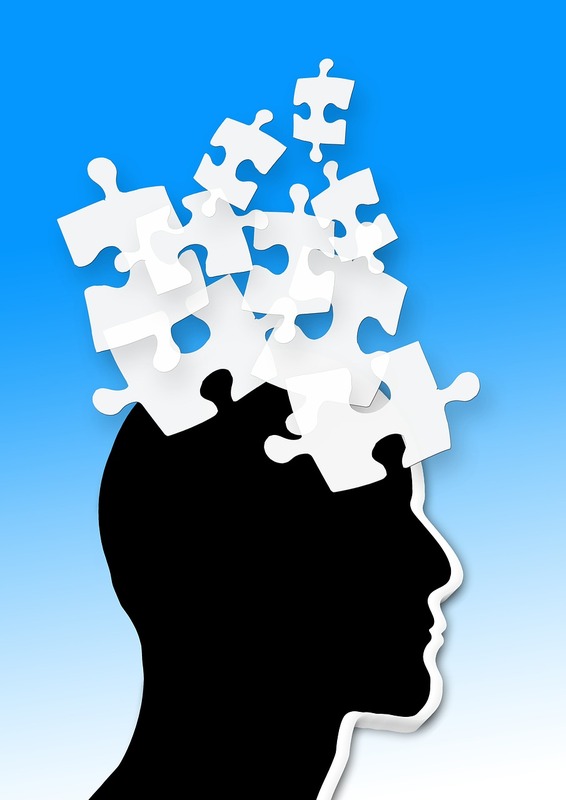 Cognition and forgetfulness that becomes worse over time is a symptom of alzheimer’s. Old age memory loss is diagnosed with a physical exam and cognitive tests. Alzheimer’s is diagnosed with a physical exam and when a person shows deficits in more than two areas of cognition. PET scans can show beta amyloid plaques and CSF fluid can show tau proteins in alzheimer’s. Old age memory loss is a normal part of aging due to brain shrinkage, while alzheimer’s is thought to be caused mainly by genetics. A risk factor for old age memory loss is being elderly, having had vascular problems, and being on medications. Risk factors for alzheimer’s are having the APOE4 allele, being elderly and having high blood cholesterol and blood pressure. Old age memory loss is not treated. Alzheimer’s can be treated with cholinesterase inhibitors, donepezil, and memantine. Doctors can test if a person has normal memory loss due to aging or alzheimer’s. Alzheimer’s may be partly caused by genetics and seems to be more likely if you have high blood pressure and cholesterol. Dr. Rae Osborn. "Difference Between Old Age Memory Loss and Alzheimer’s." DifferenceBetween.net. November 22, 2018 < http://www.differencebetween.net/science/health/difference-between-old-age-memory-loss-and-alzheimers/ >. Crook, Thomas, et al. "Age‐associated memory impairment: Proposed diagnostic criteria and measures of clinical change—report of a national institute of mental health work group." Journal of Developmental Neuropsychology 2.4(1986): 261-276. Kivipelto, Miia, et al. "Midlife vascular risk factors and Alzheimer's disease in later life: longitudinal, population based study." Bmj 322.7300 (2001): 1447-1451.